When comedian Mike Epps was a kid growing up in Indianapolis, Indiana, his family didn’t have a lot of money for things like toys or games. So, to amuse himself, the star of Next Friday and The Hangover learned how to make realistic noises with his mouth. Taking a cue from his inspiration, actor Michael Winslow of the Police Academy movies, Epps would recreate sounds like tea kettles and weed trimmers. He would play jokes on his friends by walking up behind them and making the hiss from spray can that sounds as though he were spraying the backs of their heads. 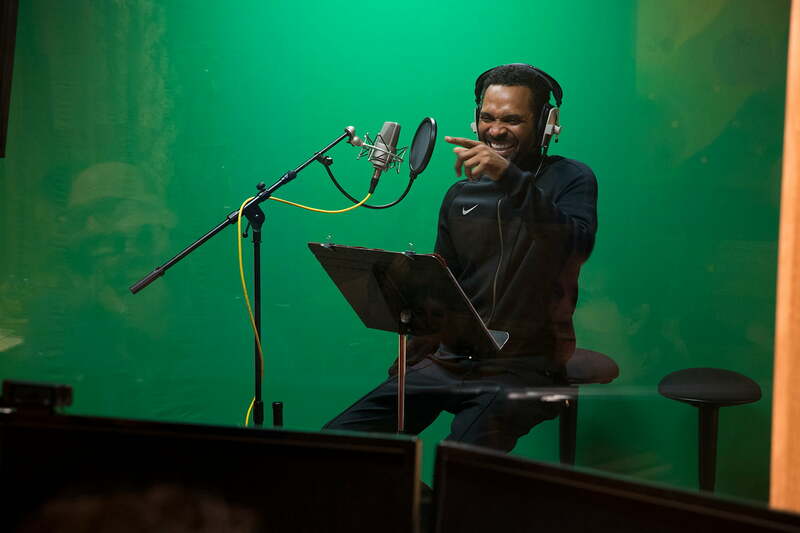 Now Epps is channeling his inner child — and talent — with the creation of a game called Sounds Fun With Mike Epps. The game, created in partnership with audio company Ground Control, is designed around the Amazon Alexa platform, and players access the game by enabling it as an Alexa skill through an Amazon Echo or the Alexa app. The release of the game coincides with that of Amazon’s Echo Buttons — push-button gadgets designed for family game nights. The stand-up comedian, known for his performances on the Starz series Survivor’s Remorse, is currently on tour and also working with Comedy Central to develop a show called Inappropriate. He also has a movie coming out soon, called The Trap, produced by Queen Latifah. The premise of Sounds Fun is pretty simple: Individuals or teams guess the sound that Epps is making, which ranges from silly things like “lawn mower” to “Donald Trump getting a haircut.” Those who guess correctly, win the round. You can play multiple rounds and have a good laugh in the process. Every day, a new sound will be released, and Epps also serves as the game’s judge, providing a mix of encouragement and his trademark comedic, snarky remarks. Epps — who’s favorite sound to make is the aforementioned weed trimmer — told Digital Trends that he got the idea for the game after playing it with his kids at home. The game is also coming soon to Google Assistant and other audio platforms, and it isn’t the only game Ground Control has in the works for Alexa. There’s also “Fourth Down Football Trivia with Philip Rivers,” “Buzzer Beater Basketball Trivia with Karl-Anthony Towns,” and “Full Count Baseball Trivia With Buster Posey” — all featuring athletes in their respective sports. Other celebrities who have lent their voices to Ground Control and the Alexa platform include former Vice President Joe Biden, who has an Alexa skill called “Biden’s Flash Briefings” where you can have Biden tell you about what’s going on in the world during your daily flash briefing. Now that Sounds Fun is live, Epps says there are plans to eventually make it into its own app. He also plans to play the game with his children often and hopes that people find it entertaining.